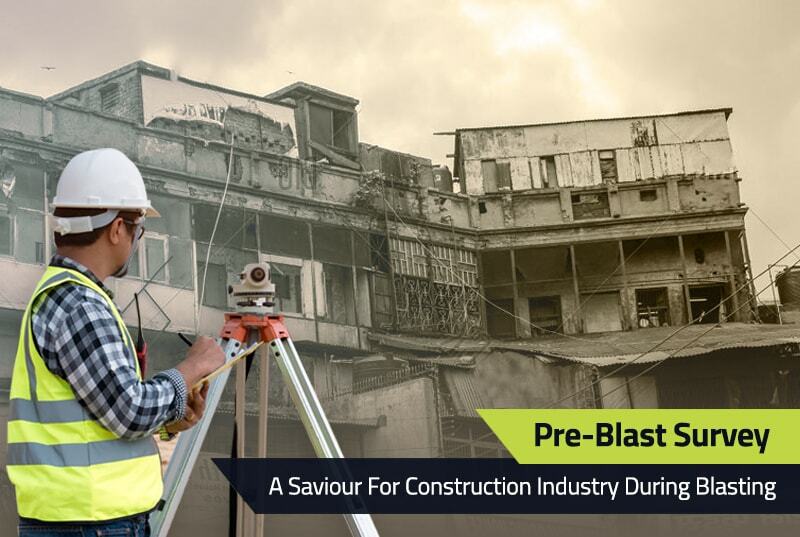 Blasting is a necessity for construction companies, however, it has become an enormous challenge to blast within city limits. Due to the rocky terrain in many parts of India, encountering rock during excavation is quite common. In recent years, there has been an increase in the number of property damage complaints against excavation contractors working for construction companies. A primary reason for most of the blasting related litigation and claims occur because the principal contractor (i.e. construction companies) don’t exercise enough caution and fail to take the neighbourhood in confidence. Another reason is the human tendency to gather the information suiting the already made decision. In this case, due to combined lack of knowledge of explosives and blasting as well as previous conditions of structures, when people find the fractures and cracks, they claim them as blasting damages. Escalation of such issue takes the shape of political and social problems, thus making it complicated which often leads to a project halt. For instance, in the last year Park Hyatt, Hyderabad knocked court doors to stop the blasting work carried out a builder adjacent to the hotel. A major blasting claim results in the delay of a project and the project proponents may be forced to redesign the project and lose some valuable space to avoid nuisance and the delay. Bad publicity from a lawsuit can negatively impact a company’s reputation. Also, employees of project proponents often have to invest a substantial amount of time participating in defence of the claim. Taking into account the above considerations, it is clear that claims for blasting damages, with or without merit, incur substantial costs for the entities involved. The company conducting a pre-blast survey notifies the neighbours to permit to walk around the house/ property. If the neighbours agree to have a survey, an appointment is scheduled. On the scheduled day, the technical person walks around the interior & exterior of property- house, the doors, walls, windows and foundation (base). They record and photograph any cracks or damage they see. They also record the type and quality of construction, maintenance and design standards adopted. A report containing data sheets and the photographs taken around the property is compiled. This record then serves as a baseline study of the condition of any property that can be referenced to determine if any changes have occurred. If the neighbours refuse to allow the survey of the property, then they will be informed by post. If the refusal continues, it will be recorded through postal acknowledgement and record of the same is communicated to the concerned authorities and the people. What if there is Blasting Damage? The pre-blast survey reports may then be referenced to determine if the blasting activities had any effects on these structures. Uttam Blastech is a leading company offering solutions to the construction, mining and excavation. Our experts are adept at conducting a comprehensive pre-blast survey which results in meticulously curated reports and protection against any potential litigation hassles.